1. Booking Inquiry Please fill out our group booking form to get a free quote from us in 24hs. Use the “Comments” section to inquire about meals (lunch to go, dinners), airport transfers, segway/ bike rental, guided city tours & trips around Andalusia and the Portuguese Algarve. 2. Booking Confirmation / Deposit Once you agree to the quote, you will receive a price estimation for the stay with detailed information about rooms, included services, additional facilities and possibly a deposit to cover during your stay. If you want to go ahead with your booking, you’ll need to confirm the reservation by paying 30% of the total amount as a deposit to confirm your reservation. Only with this payment the reservation will be guaranteed. The remaining 70% of the booking need to be paid 30 days prior to arrival. 3. Payment Payments can be made by Visa/ MasterCard or bank transfer. Banking details can be find in the email quote we send to you. Please remember that the 2nd part of the payment is due 30 days prior to arrival. 4. Changes Group size alteration to your reservation will be free of charge until 30 days prior to arrival. After that, changes are not possible. 5. Cancellation Cancellations need to be done by email and confirmed by us. Cancellations done through the telephone won’t be accepted. Cancellations done 60 days before arrival will be penalised with a 15% of total amount. Cancellations done 30 days before arrival will be penalised with a 30% of total amount. Cancellations done less than 30 days before arrival will be penalised by a 100% of the total amount. 6. Non-shows ● “No shows” i.e. not arriving at the hostel will be penalised by a 100% of the total amount. 7. Guest Data At least 4 weeks before the arrival, it is necessary to send us back a list with guests details we have emailed you previously. We will need to know about first name, last names, date of birth, nationality etc. to comply with local tourist formalities. 8. Additional Deposits Oasis Backpacker’ Hostels reserve the right to charge an extra deposit for group bookings whenever it seems appropriate to the company. 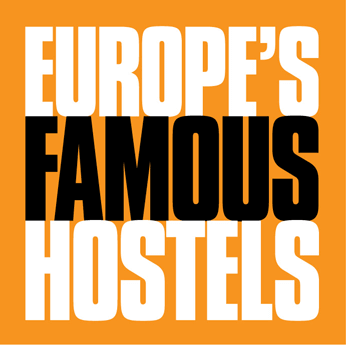 • All our hostels come with free bed linen, blankets and security lockers, as well as Wifi in all rooms and computers with internet access. • A key deposit will be needed for your key access cards. • Towels may be rented at reception for 1€. • Check-in begins at midday and you may check in until midnight. • Your free complementary breakfast is from 8am to 11am. Should you need other breakfast times, please inquire at groups@hostelsoasis.com. Same for lunches and dinners. • Check-out time is at 11.30am, late check-outs will result in loss of key deposit. • All guests will behave with respect towards other clients and hostel staff and will be responsible of their own acts during the stay on our premises. • Lost property will be kept 30 days after the day of finding. If not requested by than, the item will be disposed off. • If the guests don’t wish to share a dorm with anyone, they will have to pay the unoccupied beds in that dorm or book a private room. • Oasis Backpackers’ hostels reserve the right to refuse admission or to end a stay at our own discretion.